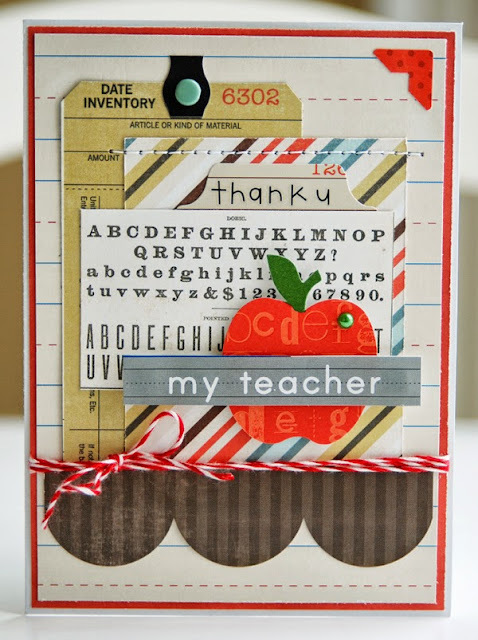 I'm back today to share a teacher thank you card that appeared in the September issue of CARDS magazine. Lots of layering on here. I used Echo Park's Note to Self collection and added in a couple of Little Yellow Bicycle school-themed stickers. This will definitely come in handy for teacher appreciation day. Fabulous card Lisa!! Loving all the layers! This is adorable! Love all the little details: the stitching, twine and photo corner. What a sweet card, I'm sure it will be much appreciated! Another gorgeous card, love the bits and pieces you included, congrast on the pub! So beautiful!! I loveeeeeeee the layers and the apple!! CONGRATS on the pub!!! ooooo I love all the layers - what a sweet pretty card. All the perfect details! Love how you used the ABC piece. Congrats on the pub. Super cute. Not surprised at all that it was picked up! I love the layers that all shout out "teacher." Fun and beautiful card. I love the layering! It's a gorgeous card! Adorable teacher card Lisa, and congrats on the pub!! Adorable card and I'm loving those great layers! Love that tag in the back~awesome card Lisa!!! Adorable card, totally deserving of publication! 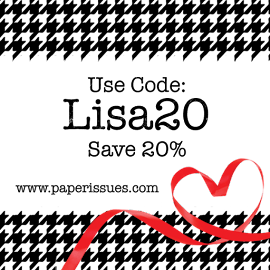 Teacher Appreciation Day (День учителя) in Russia is tomorrow (Oct. 5)!